The seller (the owner? ): writes: From first owner: a magnificent Tuscan MKII in very good condition. 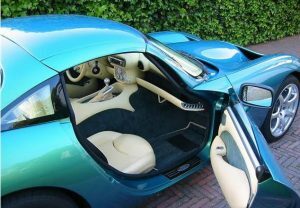 Chameleon Green metallic with magnolia full leather interior. Genuine low mileage (14.000 kms) and the interior even still smells like when it was new. The car has been recently serviced and comes with full (TVR dealer) service records. Everything works as it should (including the air conditioning) and the car drives superbly. Always garaged, never smoked in. If you are looking for a low mileage, original LHD Tuscan in very good condition then you are invited to come over and have a look. Looking at colours there’s a strong suspect this is car n. 54 listed in the Register of TVR Tuscan with Left Hand Drive. This could give us a confirmation of its Dutch plate. The car is listed in the Register with an English plate. 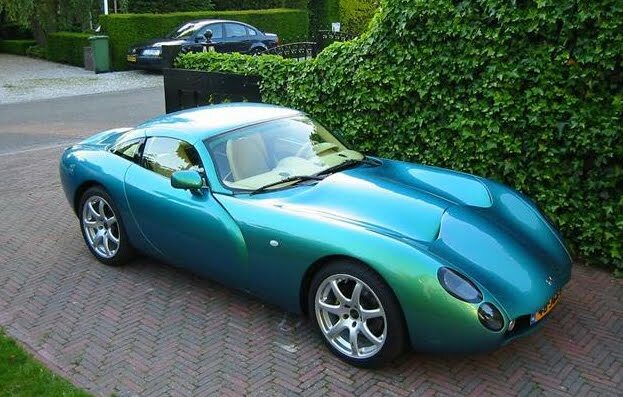 This indeed fine specimen of a TVR (wish I had the money) has been for sale a few months ago, after wich it disappeared from the market pretty soon. Perhaps the owner had second thoughts, but now has to sell it anyway. Trivia: back then the owner was said to be a Dutch 'celebrity'.